Wine could be the next category of consumer product to face charges of major fakery. A little more than a year ago, I wrote an article saying that Chinese vineyards commonly fib about the vintage of their labels, and even about whether what’s in the bottles is actually wine or sugar water with some food coloring, alcohol and grape juice thrown in. If you open a bottle labeled “wine” from a major Chinese winery, its content is from grapes. True, the grape quality might not be high, but the bottle does not contain “sugar water with some food coloring, alcohol and grape juice.” If grape sugar content is too low, sugar that produces the equivalent of 2 percent of alcohol may be added, as allowed by the OIV. But this is far from the haphazard witch’s brew that is suggested in the article. I noted that Chinese vintners commonly mix foreign bulk wine with local wine, and consumers are misled about what they drink. The word “misled” is misleading. By law, a wine labeled as coming from a specific region should include a minimum of 80 percent of grapes from that place. Otherwise, as with most blended wines, there is no obligation to indicate grape origins. An example of a regional wine: Dragon Seal’s Huailai Reserve. Note: A comparative example is wines that blend grapes from different years and thus do not carry a vintage, with Champagne being a well-known example. Still to be resolved is whether local winemakers can mix bulk wine imported from countries such as Spain, Chile, Australia and Argentina with their own wines without telling the consumer. Such bulk wine can sell for as little as 40 cents a liter. There is nothing wrong with blending per se. Wineries worldwide do it to improve quality. And again, a Chinese winery, unless selling wine from a specific region, is free to decide whether or not to indicate the wine origin. Second, given the global annual wine surplus, we should not assume cheap wine is poor wine. Finally, the author unfortunately fails to indicate what percentage of wine is bought at the 40 cents per liter level in contrast to other prices for imported bulk wine, thus we lack useful context. Bulk wine imports to China climbed 121 percent last year, hitting nearly five times the volume of imported bottled wine. Industry experts say most of the bulk wine goes into the bottled wine of China’s three big vintners – Great Wall, Dynasty and Changyu which label their wines as products of China. Now along comes the heartsick chairmain of a vineyard in Hebei province who’s spilling the beans about what happens. A blog posting of the anonymous vintner is making the rounds on the internet, and a translation popped up on China Digital Times (unavailable behind the Chinese firewall). Speaking anonymously is a good way to avoid taking responsibility. China is often criticized for lacking freedom of speech, but the Chinese wine industry is not taboo. For example, Susie Wu fiercely attacked Changyu in 2002 and Great Wall in 2004 about the authenticity of their wines, and used her own name. In a recent Cabernet case, many experts sided against Changyu. Frankly, Chinese wines may be far from perfect, but to say “I believe nothing on the label” is extreme. As for bulk wine imports, they did climb last year, but according to statistics, they are far far below 80 percent of the market. As many people feel uncertain of official statistics, I asked several wine makers from different operations, and their estimate is 35 to 50 percent at most, depending on the year, i.e. the annual production of the wine grapes in China and the wine price in the international market. This paragraph raises more questions than it answers. How did this source calculate the ratio of imported to local wine? Again, import statistics and the numbers provided by my own sources, which would take smuggling into consideration, indicate imported bulk wine makes up far less than 80 percent of the market. Where does he get the figure that market size is about 300,000 tons? Again, in the wine industry, market size is commonly thought to be around 600,000 to 700,000 tons, with domestic production of about 450,000 tons. What does he mean by “junk” wine that is not “qualified” for aging? Given developments in viticulture and oenology, the gap between good and poor vintages is increasingly small. In addition, wine being exported from countries such as Australian and Spain must pass quality controls before shipping. Finally, the vast majority of the world’s wines are consumed young and thus aging potential is irrelevant. The statistical and anecdotal evidence in this paragraph is substandard. The Chairman admitted honestly, “I have no idea what my colleagues will say about this situation. However, as an entrepreneur who is passionate about the wine industry and is dedicated to creating a gold label in Chinese wine, I feel very pained to see this happen. Why do our Chinese consumers have to drink the junk wine that the foreigners do not drink?! Remixed wine occupies about 70 percent market share of the wine that is sold for under 30 RMB, 40 percent for that under 60 RMB and 50 percent on average for wine under 200 RMB. In particular, the wine sold at nightclubs (entertainment places) is extremely poor quality. (The manufacturers) add food coloring to dry white wine to make dry red wine. Again, why is Johnson taking at face value an anonymous source? As for this: “Why do our Chinese consumers have to drink the junk wine that the foreigners do not drink? !” Gosh! What a patriot and nationalist! You would think that people the world over are only drinking first-growth Bordeaux. The truth is that people everywhere drink a wide range of wines, including low-quality ones. By the way, the statistics he provides above are false. I’ve visited a couple of vineyards near Beijing, including the Taillan vineyard that is was built with French investment and the Bolongbao vineyard that produces a high end wine. But we generally never, ever drink Chinese wine. And it just boils down to one thing: I don’t trust what’s on the label. Given that Johnson’s winery visits sound positive, I suggest he further explore Chinese wine, rather than be unduly influenced by rumors, prejudice, and faulty statistics, some of which he passes on in his own post. I think he can judge if a wine is nothing more that sugar water, alcohol, juice, and coloring. What bothers me is not so much the blog post, but that publications such as Wine Business International picked it up without providing any context for readers. Here’s a question: If these people really believe Chinese are bottling foreign “garbage” wine, where is their outrage at the countries that are sending it here? To describe bulk wine as ‘junk wines, so called ‘garbage-rank imported wine,’ is unfair and misleading. Wine is not like a tap that wine makers can turn on and off at will. Each vineyard produces different volumes each year, due to many variable factors, including weather, and as such, in good years, a region may produce higher volumes, or alternatively lesser in bad years. A country like Spain has recently had (generally) a few successive good vintages, and as such, has a large volume of unsold wine in storage. What to do? A large amount of this will be exported as bulk wine, with the prducers having to accept a lower price than they may have liked. Market forces dictating that the lower price is not necessarily quality related, rather oversupply. The statement, “.. were manufactured during bad years for wineries.”, is often not the case. The statement about Chinese drinkers having too drink inferior wine is a big generalisation. Nobody is forcing anybody, with a large array of local and international options open to all winedrinkers, at least in the larger cities. If we are talking about inaccessability due to price, then it is difficult to get an imorted bottled wine onto the shelf in China, to retail under 50 RMB, (due to cost of production, taxes, logistics), so he should really should be thankful that China has access to cheap bulk wine. How palatable would the the 10-50RMB Chinese wines without it? Another side issue, as with many products, one of the problems with protectionist economic polocies is that the local protected products dont feel as much pressure from internationals to improve their quality. If anybody wants them I can send them out! 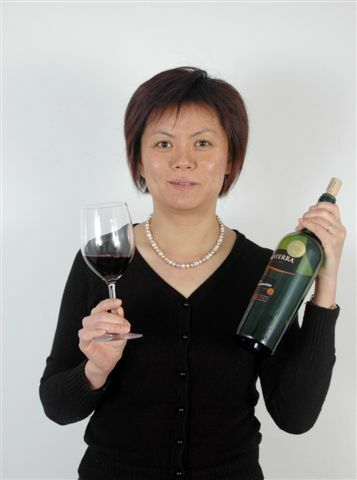 Ma has been in China’s wine sector for over a decade as a molecular biologist and researches grape vines, teaches wine appreciation classes to university students, knows and visits people in all China’s wine regions, has done exchanges with wine operations on five continents, and – importantly – identified herself in responding to Johnson’s article. Johnson passed on the claims of an anonymous source he describes as a “heartsick” chairman — “heartsick”? how does he know? I know and like both – in fact, the last time I saw them together was at a wine conference Ma organized August 2007 in Beijing. But I give credence to an industry specialist who identifies herself, rather than an anonymous source that makes claims that don’t resonate. Let me make it clear – and I state this because China issues too often come down to zealots who either fiercely attack or defend the place. No one denies the wine industry has problems, that bulk wine is used, or that some companies have misrepresented vintages. But while I do agree with some of what Johnson writes, the key points are inflammatory and based on false claims and exaggerated numbers, and do not help the situation. Even worse is that reputable wine sites around the world pick up such posts at face value, thus necessitating the response made by Ma. In terms of sources, for my response, I checked the data from National Bureau of Statistics, called the director of the China Alcoholic Drink Industry Association, the chief viticulturist of Dynasty, The wine maker of Chateau Junding, the production manager of Mougao, the director of Ningxia wine association and independent journalist Jim Sun in Shandong among others, to double check the acreage and production of grape wines in different provinces and their data on the volume of the imported bulk wine. I think that using official statistics and these sources gets up close to a reliable number. I would add that I am an independent researcher, I do not and have never taken research money from any of the big wineries, such as Great Wall, Changyu, or Dynasty. Your post suffers from exactly the same faults that you attribute to the Tim Johnson article – where are your citations and sources? One could make the exact same argument against your writing. “The statistical and anecdotal evidence in this paragraph is substandard.” I would submit that the same sentence applies to your entire posting. Your “article” sounds like the common response in China to someone who has written something less than flattering about anything that has to do with China.